While the breathtaking new televisions and connected home displays that do everything except break up with your girlfriend might get the most attention at the Consumer Electronics Show in Las Vegas, there are plenty of excellent new gadgets that could make your next vacation or business trip a little less stressful. Travel technology is all over the cavernous expo floor, if you know what you’re looking for — from a passport case that promises you’ll never lose your identification documents again to a luggage lock that pops open with a tap of your smart phone. And we’re desperate to get our hands on the luggage GPS tracker, though we bet the airlines are less than stoked about that one. You’ll get a kick out of this selection of travel gems from this year’s CES that we think will make travel a little bit easier, or at least a lot more fun. iWallet Passport Holder ($599) — Your passport is the one thing you truly cannot do without when you are traveling internationally. This passport case comes with biometric sensors, ensuring that only you (and up to four other people you authorize) have access to it. Misplacing your passport also becomes a thing of the past, since the case will sound an alarm if you walk more than 10 feet away from it. SMS ANC Headphones ($280) — The newest version of these noise-canceling headphones not only allows you to tune out the screaming child three rows back, it also offers a premium listening experience that could last your entire trip. Weighing just 200 grams, these headphones have a 70-hour battery life and come with a snazzy leather travel case. eGeeTouch Smart Luggage Locks (Price not available) — eGee’s take on the luggage lock does away with keys and combination codes. Instead, this lock responds to the near field communication feature in your smartphone — opening when you tap your phone against the lock. These locks are also TSA compliant, with a built-in key mechanism that allows authorized agents to gain access. Trackimo Universal ($100) — We want this now! Ensure your luggage never gets lost with this GPS Tracker. Just toss one in your bag and you’ll always know where it is — even if the airline doesn’t. You’ll even get a text alert when your bag is moved. 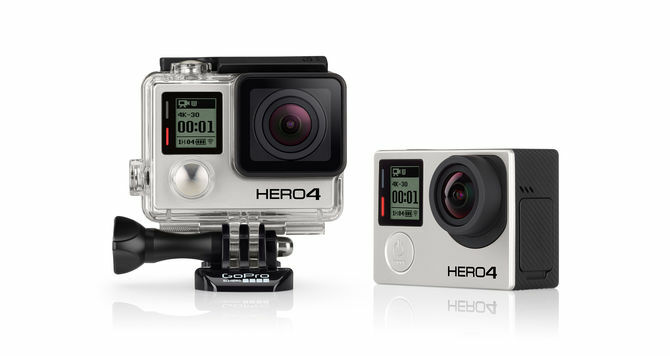 GoPro Hero 4 Black ($500) — GoPro is setting the bar even higher with its latest line of mountable cameras. The Black records in 4K ultra-high definition at a lightning fast 120 frames per second, meaning images stay crisp when you put them in slow motion in your edits. Better still, the user interface has been improved, making it much easier to operate on the go. Monster Backfloat Speaker ($169) — Waterproof speakers generally focus more on being waterproof than on being good speakers. Monster’s new entry in the market (in collaboration with Shaquille O’Neal of course) puts out some incredible sound while happily floating in your pool or garden tub, playing anything from your nearby (and safe and dry) smartphone. Mophie Juice Pack ($99 and up) — Mophie is the king of battery cases for your phone — and rightfully so. This year it offers two new devices for the iPhone 6, effectively doubling the phone’s (already impressive) battery life, letting you take calls and pictures all day (and night) long. Narrative Clip 2 ($199) — Want to live in the moment and not worry about pulling out your camera but still have pictures commemorating every single thing that you do? So do we. The Narrative Clip 2 is a “life-logging” camera that automatically takes a picture every 30 seconds without any required action from you. The new version shoots 8 MP photos and has a wider field of view than its predecessor. It also automatically uploads the pictures to your phone via WiFi and Bluetooth creating a seamless record of your day without requiring you to do anything at all. Samsung Portable SSD ($180–$600) — Samsung’s new portable SSD drive is lightning fast, offers storage from 250 GB to 1 TB, and is as small and lightweight as a credit card. Aimed more at business travelers, it’s also useful for people who are shooting a lot of digital video during their trips. Powerocks Power Bank Charger ($80) — Now you can avoid being stranded when your rental car battery dies unexpectedly. This charger (which is about the size of a paperback book and weighs under one pound) not only gives your phones and tablets more juice, it can jump-start a car. It’s also equipped with a flashlight, red and blue flashing emergency lights, and a sharp metal corner to knock out a car window in the case of a dire emergency. Zolt’s Tiny Laptop Charger ($99) — Finally! This teeny tiny charging brick has three USB slots. And with a MagSafe cable ($30) it can power MacBooks that require chargers up to 70 watts. Could this be the charger to end all chargers? Thanks for the great list, Wendy! 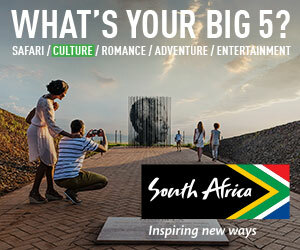 For my personal travel and as a resource for our clients, I will definitely bookmark and visit this list often. I can always count on relevant and objective information from you.